Today I’m so excited to finally reveal my new home to you guys!! 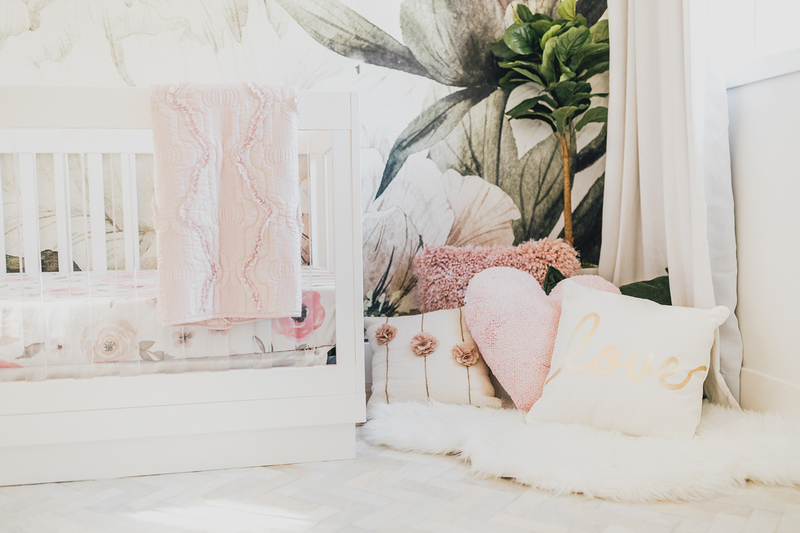 Z Gallerie and I worked together to create the apartment of my dreams! I had just spent months apartment hunting and finally settled on the perfect place! Two bedrooms, floor to ceiling windows for lots of natural light, and close enough to my family to have them over for dinner. I have always had a huge passion for interior design and creating spaces that fit my own personal style, so I was beyond excited to work with Z Gallerie to make this new space a home! Z Gallerie has always been my go-to store for furniture and decor that feels luxe and looks chic, so to work together was a dream come true! Use promo code JESSI for 15% OFF! As an entrepreneur, it’s so important for me to stay motivated and inspired on a daily basis. Since I spend so much time working from home, I really wanted to design a space that felt warm, inviting, and reflected my love for fashion! Z Gallerie gave me THE dream team!! I worked with Lucie Ayres of 22 Interiors, an incredibly talented interior designer, that was able to take my vision to a whole new level. My interior style has always been very minimal, elegant, and white with silver accents. I’ve always designed my previous apartments like this, and although they were very pulled together, it always seemed like there was always something missing. What I loved most about working with Lucie is that she was able to create a space that was sophisticated and elegant, yet incorporate some playful statement pieces and textures that really added depth to the space. She knew exactly what pieces to choose to make an impact..combining modern, glam, and organic elements to make the space feel interesting, yet very well balanced. My new living room is as dreamy and chic as I imagined it!! I spent a lot of time at home shooting content for the blog and working on my laptop, so not only is it vital for me to have a space filled with natural light, but my furniture pieces and decor should never overpower the lighting! I wanted to keep a neutral palette for this room and make sure the natural lighting came through in the best way possible. I think the draperies, marble table and white faux fur accents compliment the soft, natural light perfectly!! To me, my bedroom is like my private oasis. Since my days are always so full and stressful, it’s so important for me to have a bedroom that I can come into feeling relaxed and at peace. I really wanted my bedroom to look sleek, modern and luxurious, yet still feel cozy and peaceful after a long day. My favorite part is the mirrored elements, they really open up the room and make a statement when you walk in. And the room wouldn’t be complete without this beautiful art piece of a serene blue ocean..I love waking up to this image everyday! I’m loving my new dining table so much that I haven’t even touched it!! For my dining space, Lucie focused on having ultra sleek, white and silver dining sets that are very clean and modern, yet was able to add fun and interesting accents like the diamond-shaped glasses, marble candles, and faux succulents! One of the main reasons I’ve always loved Z Gallerie is because you can get that luxe look in your home without having to redesign your whole space! Some of my favorite decor items to glam up any space are layering some of their faux fur pillows, textured throws, artificial flowers, and candles. I hope you guys enjoy my new space as much as I do!! It’s been a long process putting this all together, but I’m beyond happy with the way everything turned out :) Whether you’re looking for a full redesign or just a few updates, I hope this space can inspire you too! A HUGE thank you to Z Gallerie, their amazing team, and Lucie for creating the home of my dreams! If you wish to shop their site, I’d like to offer you my discount code to use at checkout for 15% off your purchase! What do you guys think about my new apartment?! Would love to hear your thoughts in the comments below!! Wow, this looks amazing! What an awesome makeover. Your new space is BEYOND gorgeous, lady- and is so YOU! Eeek! Jessi, she did a MAGNIFICENT job at styling your new place, it’s SO very you! So glam and chic, I truly love it! Congratulations and cheers to many fun and memorable moments in your new place! There is nothing better than having a place to call home! The decor is so beautiful especially the table! I love it! It’s great that you have lots of natural light! It’s very beautiful! I adore your place it’s uh-mazing!! So much goals!! Oh my god, your home is STUNNING! I’m obsessed with Z Gallerie, and I love the pieces you picked from there! A sua casa é espetacular! Maravilhosa em cada cantinho. Amei! Jessi, what a dream come true! Your new apartment looks absolutely beautiful and totally represents your classy and elegant style. My fiance and I are currently building our house and I am so excited to check out Z Gallerie! Hopefully, they have a store in my area. I would love to add some of those beautiful accent pieces to our new space. I am totally leaning towards neutrals as well as silver details. Again, congratulations beauty and enjoy your new living space – it’s stunning. It looks amazing! Love how everything turned out! It is so nice to have an inspiring space, especially when you do work from home. I love the natural light in your new home…The windows are wonderful and you I love how you made them the central item in your living room. Gorgeous apartment….and the decor is simply perfect. Your bedroom looks very glam and modern. I love the silver and metallic tones. I’m a big fan of neutral colours when it comes to inner decor. Z Gallerie did an amazing job in making this completely and 100% you! Love it! Wow!!! It’s just so stunning! Every inch is SO YOU! I adore it – congrats!! Enjoying your new space is an understatement.I absolutely love this.The place is to die for.Everything is so well put together.The pictures are also so perfect and I really love what you are wearing. Wow, your place looks A M A Z I N G Jessi ! I love how you kept it all simple and clean with the bright colours. The details and decoration fits in so perfectly. Have a good day my dear! Congratulations Jessi! Your new home looks absolutely lovely! Your apartment is stunning! Love the makeover! Oh wow they did an amazing job! It looks stunning! I watched this last night and I loved it. Your home is absolutely beautiful and Z Gallerie did an amazing job. omg your house is GOALS! i just moved into a bigger place and am still settling in. this is giving me some major inspo! Congrats on your new home and decor honey! I LOVE it!! So luxurious, elegant and how amazing are the floor to ceiling windows! Nothing like natural light at home right? You look really happy in it! So excited for you! Hope you make the most beautiful memories in it! How beautiful! My favorite things are the bright light entering the home making it welcoming with lots of open space, the dining table and of course the relaxing bedroom. Z Gallerie did an amazing job! Love it – very cool! It has a great vibe. I would, however, replace those mirrors in the bedroom – they don’t look right at all. When you look into that space/area, all you see is that everything is square/rectangle – way too chunky/clunky. You should get mirrors that have a curve…and perhaps that have some gold in them, as this would make the silver/mirrored pieces stand OUT, rather than everything just looking the same….”silver and mirrored” – it’s the different colors, textures, and shapes that make a space really work. And, some artwork above the bed perhaps. Aquele batom é muito bonito, né?! Mas confesso que é bem chato de aplicar! Jessi, your home is amazing and your style is impeccable. I am so very happy that you posted this as I will be moving and need some design inspiration also thanks for sharing the coupon- I will def be using it!! Wow! I like your home. It’s very pleasant with the earthly colors. Nonetheless I simply Inlove with your white/light beige blouse(the first one you appear wearing with a blazer). Please please tel me where you bought this bourgeous clothing. I love your style so much! So glam but still elegant! I love how everything looks together. Im in love with the wall color! Do you know the name of the color or brand? This color is exactly what I am looking for! Gorgeous! Where are the faux flowers with the light balls on your coffee table in the living room from? Thank you! Love everything! Dying over your beach picture. Can I ask where you got it??? Amazing!!! So gorgeous. What is the living room and bedroom wall paint? I love Z Galleria and you are lovely! Blessings to your singing and fashion careers! LOVE the look – its beautiful. Is the wall color gray? Hard to tell from the photos. I have pale gray walls and I thought the Bella Pearl sofa would be to yellow but it looks fab here. Hi! Is your bed in the color “Bella Gray” or “Bella Dove”? I’m in the process of ordering a bed like this. Thank you! Congratulations on designing a living space that is so authentically you!! And thank you for the voice you are for the expression ofbeauty. Could you private message me regarding what area you found your apartment. I have been looking for a year and a half for a space similar in design to the building you found. I have a little dog and really need a location that has grass and sidewalks that is conducive for comfortable walks and pleasant time outdoors. Not just concrete. Thank you in advance for your kind reply. Hi I loved you apartment and now I love your house!! Your decor is an inso to me!! and also those faux stems on your coffee table? The coffee table in your z gallery make over…where is it from and what is it called? ?